Pat O’Malley has been involved with a number of significant engagements both within and outside of formal reorganization proceedings. His areas of specialty include crisis management, preparation of business plans including cash flow forecasts, replacement and restructuring of financing, improvements in accuracy and timing of financial reporting, identification and implementation of cost reductions and forensic accounting. He has considerable experience in retail, distribution, manufacturing and finance industries. 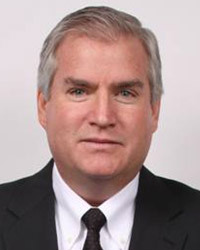 Mr. O’Malley began his career in the Chicago office of Price Waterhouse where he was a manager in the audit division and a member of the firm’s mergers and acquisitions group. He graduated in 1981 from Loyola University of Chicago with a concentration in Public Accounting. Mr. O’Malley is a licensed Certified Public Accountant in the State of Illinois. He is also affiliated with the Illinois State CPA Society and the American Institute of Certified Public Accountants.